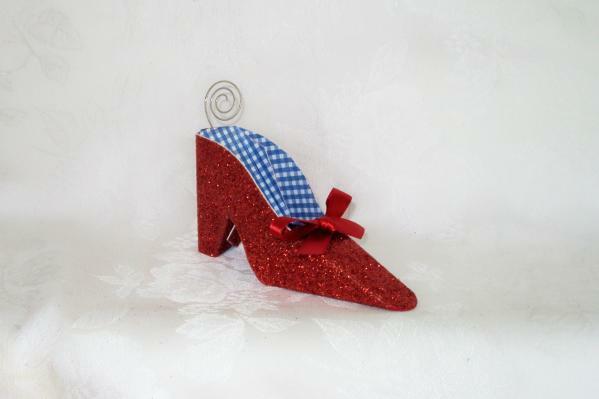 Our red glitter shoe place card holders are sure to be a hit at your event! Each shoe measures approximately 2 1/4" tall and 4 1/2" long and made from sturdy, specialty cardstock. The wire place card holder coming out of the back adds additional height. They are made of card stock and are sturdy (not flimsy at all). They are sure to 'wow' your guests! Minimum quantity 15. Please allow 7 business days to fulfill your order; then add ship time.